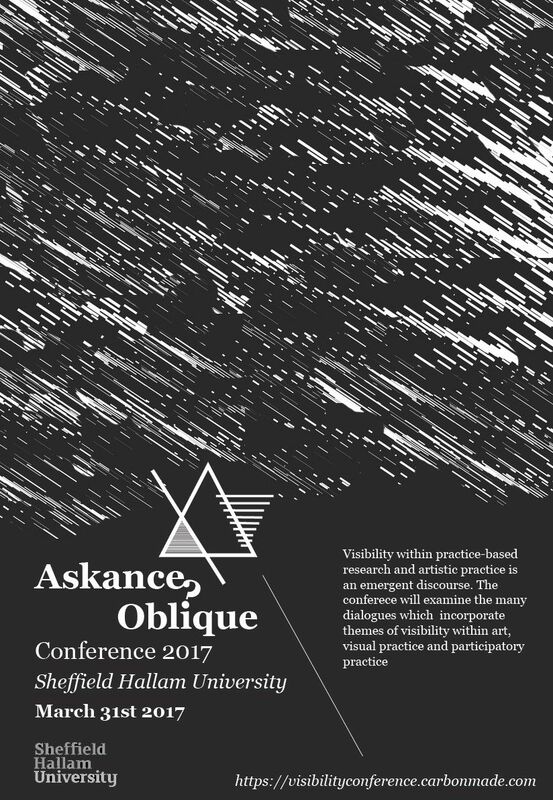 We will examine the many dialogues which incorporate themes of visibility within art, visual methods and participatory practices to prompt a discussion between multiple disciplines. We will examine the many dialogues which incorporate themes of visibility within art, visual methods and participatory practices to prompt a discussion between multiple disciplines. Artwork or visual methods that incorporate documentation expand the making process into one that involves broader considerations, such as gaining access, subject matter, permissions, negotiating authorship, representation and use of technology or technique. 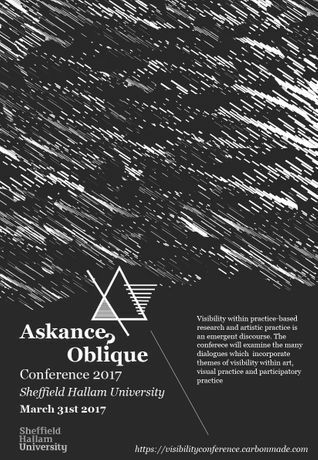 This dynamic thematic will enable new perspectives on the conditions of practice based and visual research.